And although my heart was broken, it emerged. Stronger and Beautiful and open to what the Universe will deliver. Two Thousand and Fourteen proved to be a challenging year to say the least. I could dwell on the negative and tell you that it probably was one of the worse years of my life, or I could alter my perception and tell you that it has been a year of lessons and spiritual growth. Sometimes one needs a symbolical slap in the face to wake up and realize the need for change. Sometimes it takes a rude awakening to open your eyes to the truth, to remove the rose coloured glasses to peer at what is real and what is not. This year I got the slap, physically, emotionally and spiritually. 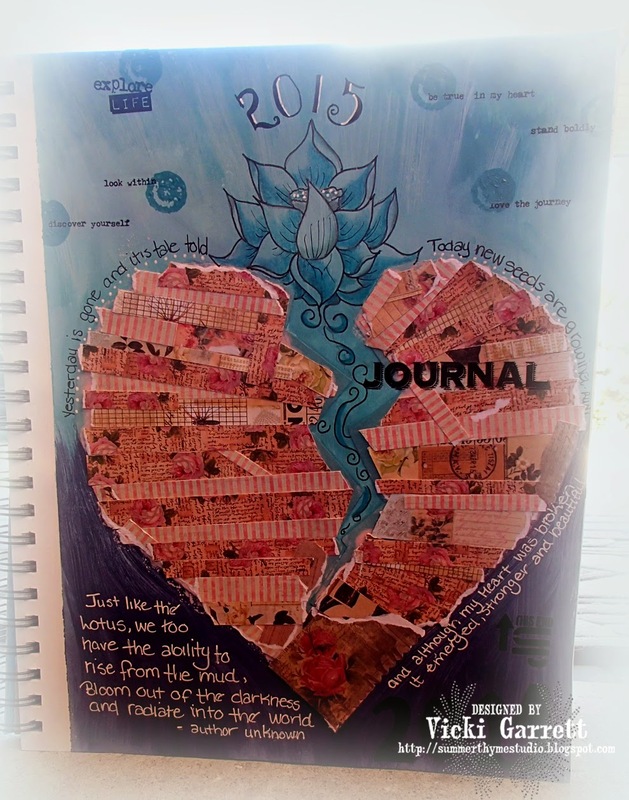 Through the pain, confusion, sadness anger and anxiety I gained some clarity and an understanding of purpose. I looked inward and upward, praying for strength, peace of mind, forgiveness and spiritual growth and I am well on my way to attaining those desires. 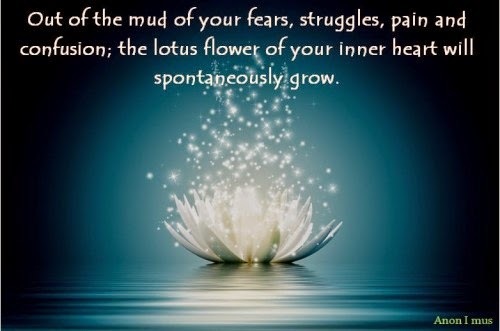 Today, new seeds are growing. 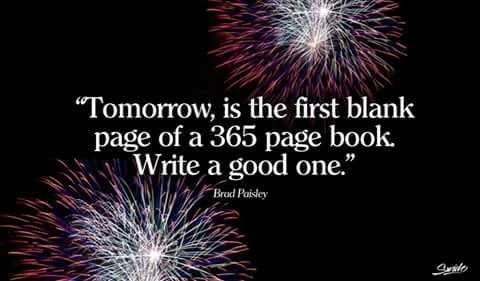 My wish for you is to take charge and create a wonderful year for yourselves and those that matter to you. Two Stamps, One ink colour and Glitter!!! Would be pretty in blue I bet!!! 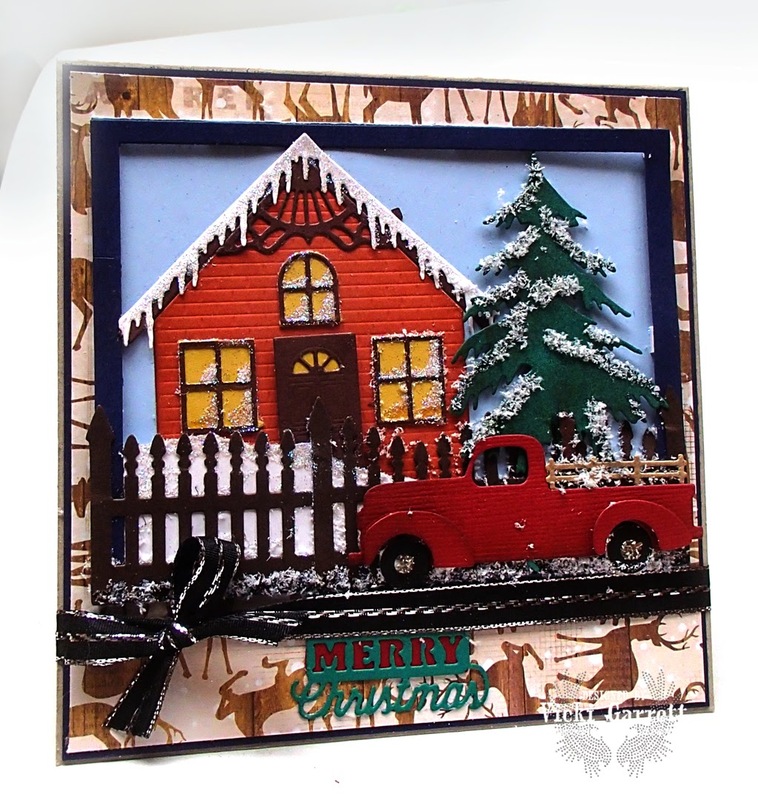 Here's a little contrast from my Cardmaker Blog Hop Card! You can't get much cleaner than this one~ and quite frankly, I need to give myself a HUGE pat on the back for keeping this white card pristine.....yep, no inky finger marks here and I didn't have to redo it!!! YAY~!!!! 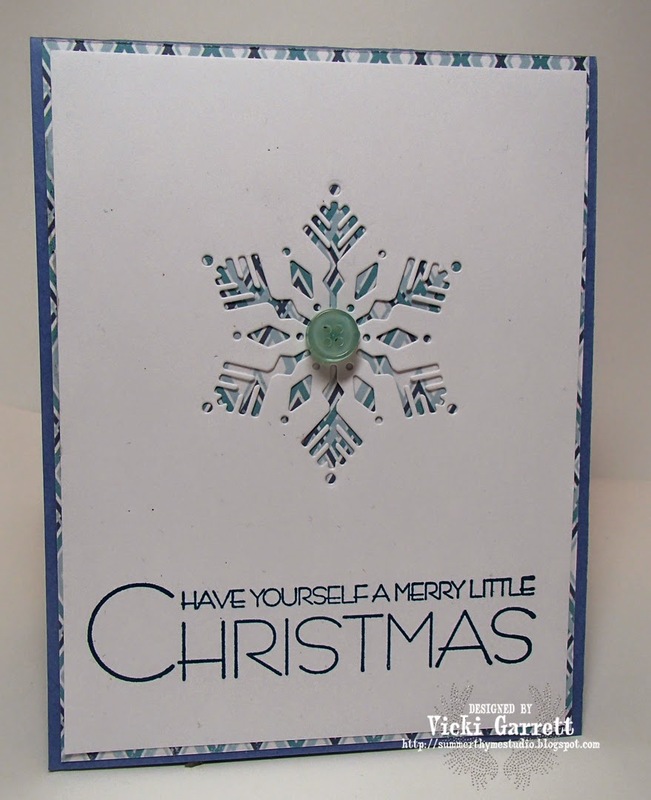 I used a patterned paper in behind the snowflake to give it a little ZIP!!!! to enter your CAS card and to get a list of the DT players for today!!!! Stay tuned for some more simple card samples in the next few days, as well as some great peeks and the upcoming Valentine Release! Impression Obsession Hops with CardMaker! Welcome to the CardMaker and Impression Obsession Blog Hop! 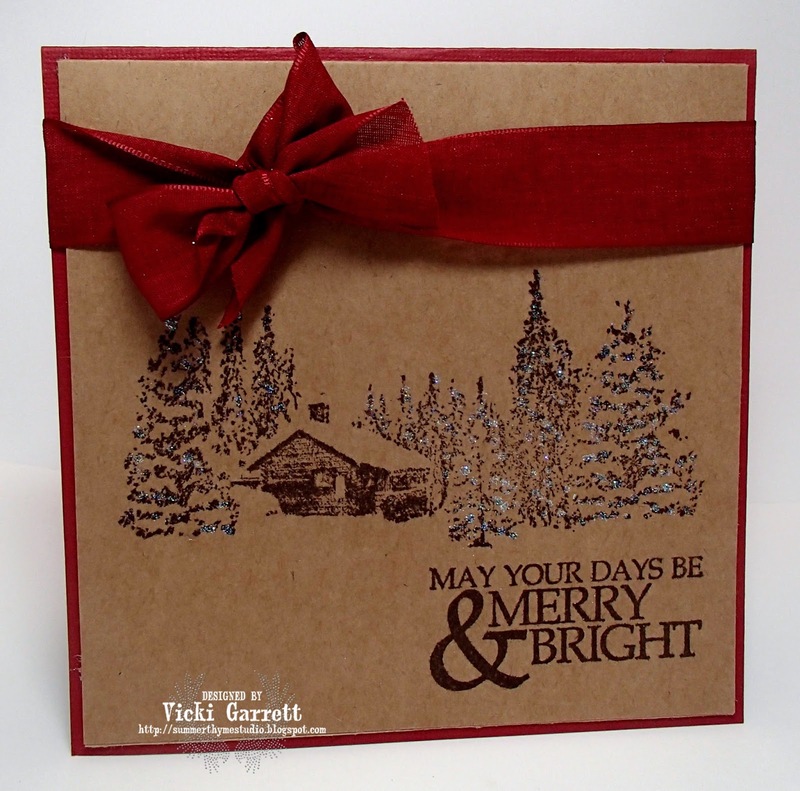 Today the CardMaker Designers and the Impression Obsession Designers will be showing you some wonderful holiday projects featuring stamps and dies from Impression Obsession! I used Glitter and Ultrafine Flowersoft to mimic the ice and snow! Make sure and comment on each of the blogs in the hop! TWO winners will be randomly chosen to win a $25 Impression Obsession Gift Certificate! You have until Thursday December 4th at Midnight CT to enter. The winner will be chosen and announced on the Impression Obsession Blog on December 5th. Here is the Hop List in it's entirity! Good luck in the Draw!!! !